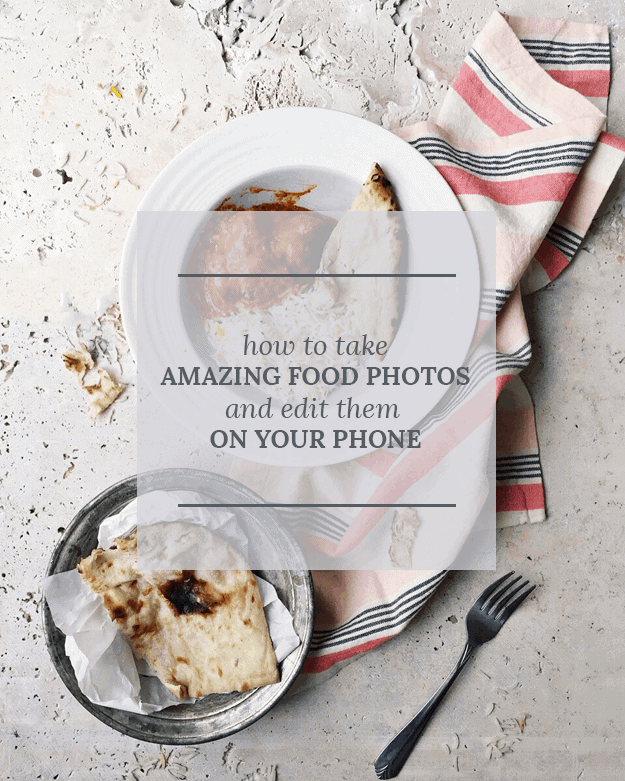 So you want learn how to take amazing food photos and edit them on your phone, do you? 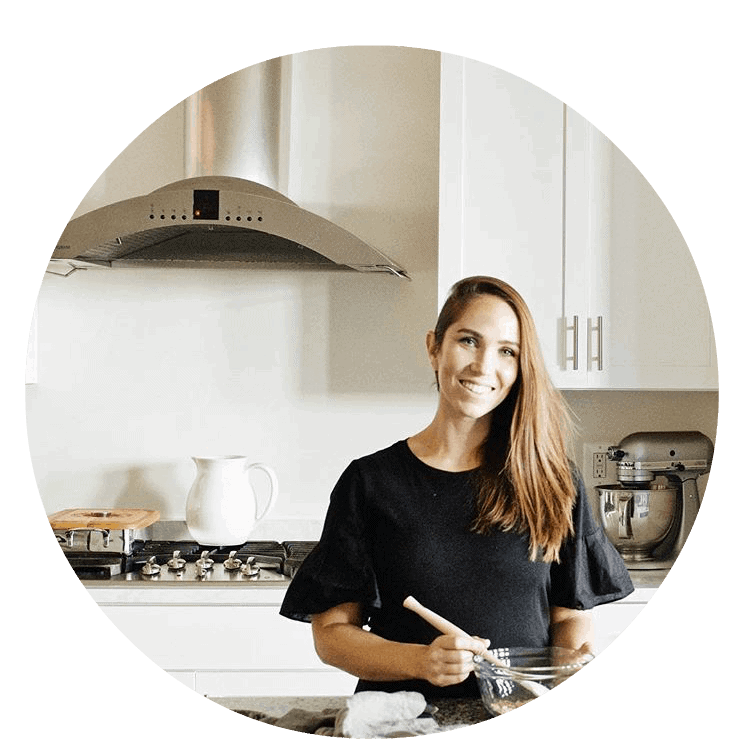 Well I am going to show you how to take your food photography to the next level even without a bunch of fancy camera gear or equipment. 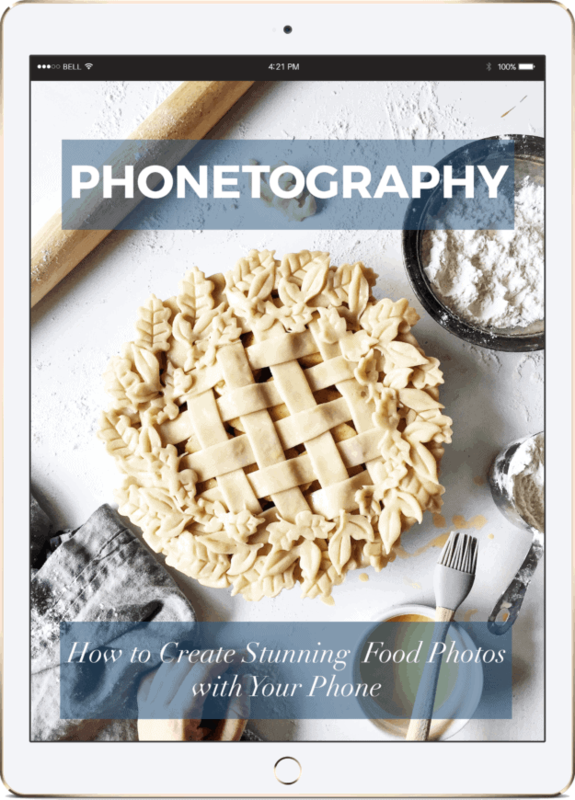 CLICK HERE to get access to my FREE phone food photography guide, where I share basic rules of composition and how to shoot with your phone camera. I will also walk you through my step by step editing workflow. You will end up with bright, crisp, and clean photos that will stand out. Blogging and social media is clearly a visual world, and this book will help you get the professional results you want to take your business to new heights. Happy shooting! I am so obsessed with your aesthetic!! I have been trying to develop a similar one and it’s been a struggle. But thank you for this blog, it helped a lot! I think the biggest thing that I struggle with is composition. I know that it just takes a lot of practice and playing around with different things, but do you have any tips? Wonderful tips and tricks for food photography. I think it delicious food. Thanks for nice post. I also use color story in my iPhone 6S. It’s unlimited filters,effects and tools are really awesome. Every photos of my social media like Facebook, Instagram, Twitter are created by color story. That’s awesome, Janet! Glad you love it. Just a quick note to say thanks for this great post! I hadn’t heard of the Colour Story app before…it’s amazing, and makes my insta shots look so much better!! I love your aesthetic! So clean and crisp with perfectly balanced color! I was wondering, do you use your iphone and these apps for all the photos on your blog or just for Instagram? Hi Bailee! Thanks so much! I only use these apps for my Instagram photos, but they would work beautifully for DSLR images too if you can upload them straight to your phone from your camera. Love this! Thanks! I’ve been obsessed with a color story too! I downloaded A Color Story, but I’m curious to know what your specific workflow is on that app. I’d love a periscope or something about that! !